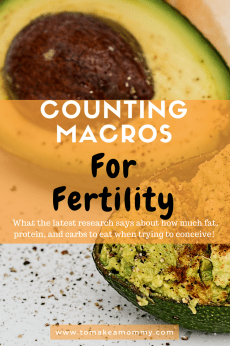 Whether you have just started trying to conceive, or you have been struggling with reduced fertility (“infertility”) for years, visualization can be a powerful tool for healing the body and soul and enhancing fertility. I used visualization and guided imagery in a number of ways in the months before I conceived my miracle child. 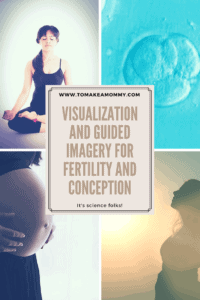 In this blog post I’m going to talk about why visualization can be so powerful for fertility, and how I used it to help me get happy, healthy, and pregnant. 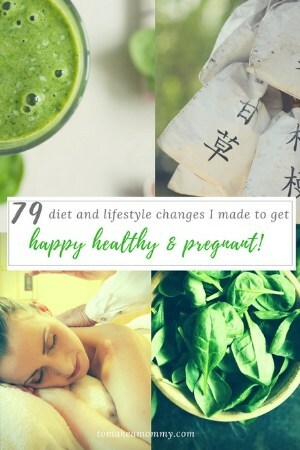 To read about the other 78 things I did to overcome infertility, read my post on all 79 Things I did to Get Happy, Healthy, and Pregnant! One of the surest ways to get something you want is to imagine already having it. If you want something, imagine you already have it. See it, feel it, smell it, taste it, hear it. Know how it feels in your soul to already hold your happy, healthy baby in your arms. Imagine the sweet warmth of a nursing infant falling asleep at your breast. See the little baby arm reaching up to pat your face as you rock them to sleep. Feel the weight of that healthy baby in your arms. Imagine breathing in the baby scent on your infant’s head as you hold them. Imagine it has already happened and you are blissfully happy. If you aren’t familiar with it, there is a whole book on The Secret by Rhonda Byrne on how to apply this principle to anything in your life. I had already read this book before I started struggling with reduced fertility, but it took me a while to be reminded of its importance while trying to conceive. One of the easiest ways to do this is to be purposeful about visualizing conception and pregnancy and/or to use guided imagery. But before we talk about the different ways to do this, let’s talk about the science behind it. What does the science say about visualization? Dozens of studies have been done on visualization and healing since the 1980s. If you are as old as I am you probably remember when the first headlines came out about cancer patients using visualization to see the white cells destroying the cancer cells- and how it worked. About the same time a number of studies came out about prayer, visualization, and healing. The key to all of them was the same– actually visualizing EXACTLY what you want to happen, and then believing that it will. Some doctors have poo-pooed the research, worried that the results will lead patients to avoid life-saving chemo treatments. So let me preface the rest of this blog with this- nothing in this blog entry, or in any of my others, is meant to suggest you should avoid needed treatment. If you don’t have a uterus, no amount of visualization is going to create a new one. 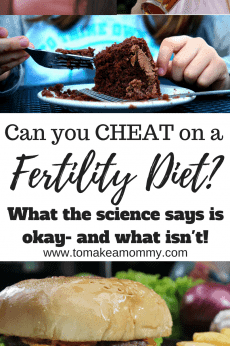 But, no matter what path you have chosen to parenthood, why wouldn’t you do all the things you can, especially something so backed up by science and experience? Now, back to the science. A 2008 study at William Beaumont Hospital in Michigan demonstrated the power of visualization for the treatment of interstitial cystitis, which is a painful condition where the symptoms of a UTI persist without identifiable bacterial infection. For 8 weeks patients visualized healing the bladder, relaxing their pelvic muscles and calming the nerves of their bladder for 25 minutes, twice a day. The control group rested for 25 minutes. At the end of the 8 weeks, the patients doing the visualization had significantly reduced their pain and symptoms compared to the control group. In another 8-week study, patients who had previously had breast cancer visualized a better quality of life and reduced stress. This 2008 study, which was published in the Journal for the Society of Integrative Oncology, found that these patient’s cortisol rhythm was reduced. Cortisol rhythm indicates the probability of the recurrence of cancer, and so the likelihood of the cancer returning was reduced. In a 2007 study at Southeastern Louisiana University School of Nursing, patients who had their gallbladders removed did visualization to reduce stress and anxiety. Not only did they reduce their stress hormone levels, but they also reduced their chances of surgical wound erythema- a redness around the wound that’s associated with infection or inflammation. This is a great article summarizing the many, many studies that have been done on the effectiveness of visualization on healing from cancer: The Science Behind Guided Imagery. While we don’t have many studies on visualization itself and fertility, we do have research that shows us that if we meditate/listen to guided imagery/do full body relaxation, etc., we reach something called the “relaxation response” which IS linked to increase pregnancy success rates. The studies show that participating in a mind-body fertility program that teaches participants to take about 20 minutes a day to enter into this “relaxation response” almost TRIPLES the pregnancy rate. 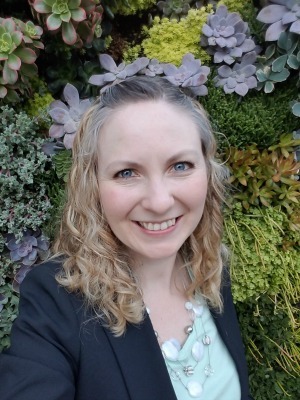 If you are interested in learning more about what they learn in that particular program, you can use Dr. Alice Domar’s book Conquering Infertility to learn about all the different ways to achieve the Relaxation Response. So here’s the deal- the science shows that chilling out completely for about 20 minutes a day is going to improve your chances of pregnancy success when doing IVF, and thus, it can be reasonably extrapolated, when following other paths to parenthood that involve your body. The science from other conditions shows us that visualizing exactly what you want to happen can have a real, physical effect on healing. So, the path is obvious. You need to spend about 20 minutes every day achieving the relaxation response and visualizing successful conception/pregnancy/mommyhood. Okay, I’m sold. How do I do this? Luckily, there are many ways to do this, including meditative prayer, yoga nidra, meditation, progressive relaxation, and other mind-body tools. You can read about many of them in that book by Alice Domar, or by googling. Every fertility coach out there worth her salt has some meditation program they will sell you to do this. You just need to pick whatever works for YOU. I’m going to talk about the three ways I did this in the months before I had my miracle conception. 1- Self-Guided Meditation & Visualization – I think this is the hardest option, and to be honest I didn’t do it very often. When I was successful at this, I would sit and meditate until I was in a fully relaxed state and then I would imagine exactly what should be happening at that point in the cycle, or being pregnant, nursing a healthy baby, having a big family, etc. I would start by sitting or lying down and going through each part of my body relaxing it. I would pay attention to the noises far away and the noises nearby. I would feel the earth/bed/chair beneath me. I would feel the heaviness of my limbs. I would sometimes be able to enter into the relaxation response this way. The problem I had with this was two fold. First, sometimes I couldn’t quiet my mind because I had so many thoughts going on. Second- When I was successful and entered into that altered relaxed state, I wasn’t always able to concentrate on visualizing what I wanted to. Luckily, I found something much easier! Which leads me to . . .
2- Circle and Bloom– I ADORE Circle & Bloom. I don’t know why I didn’t buy the Circle and Bloom Natural Cycle for Fertility program when I first found it after google searching. I guess I thought I would get pregnant that cycle (I always thought THAT cycle was THE cycle!) and wouldn’t need it. Once I buckled down to do ALL THE THINGS, I knew I needed to buy the program. It was incredible. They have a guided imagery visualization/ meditation program for each day of a 28 day cycle. Each day’s program leads you through a 10-minute or so progressive relaxation series to make sure you have fully entered the relaxation response. Then there are an additional 5-10 minutes of tailored visualization of exactly what is happening in your cycle on that day. You see golden pink glowing ovaries producing perfect follicles, you imagine your hypothalamus and pituitary glands releasing the perfect amount of hormones and sending them to your ovaries and womb. Later in the cycle you envision a perfect conception, and perfect implantation in your uterus. The writers of this program obviously partnered with doctors to get the full details on the female cycle. The only cycle that I did the program every single day was the cycle that I successfully conceived! You get the most out of this program if you do it during the day, but I would also use it to fall asleep at night. If you haven’t already purchased this, I highly recommend it as the easiest option. Unlike meditation, you don’t have to do any active work. You just get to lie down and listen to the program. They also have programs for IUI/IVF, Frozen Embryo Transfer, Donor Egg, and PCOS Fertility Healing. They even have a new one for embryo donation! 3- Fertile Heart– The Fertile Heart Program also has a series of visualizations that are part of Julia Indichova’s OVUM practice. She has dozens and dozens that you can search through and pick the right one for you. Many of these are shorter, and are more about seeing the image rather than eliciting the full relaxation response. If you are doing the whole OVUM practice, you can pick visualizations that help you heal in the specific way you need ( for example, healing fibroids or endometriosis), or you can pick a visualization for the point of the cycle you are in. This program required a great deal more personal involvement and work than Circle and Bloom. Read my full review of the Fertile Heart Program and how it works here. 4- Expectful – This app for IPhone and any device with a web browser is made for women trying to conceive, women who are pregnant, and for post-partum. It comes with a whole selection of different mindful meditations for fertility including ones on releasing anger, in addition to a normal physical relaxation one. This wasn’t available when I was trying to conceive but I used it during my second pregnancy. Although I prefer Circle and Bloom, the nice thing about Expectful is they give you a free 14-day trial during which you can listen to ALL the meditations and then decide if you want to keep your subscription or not. Yay for free! 1- Every morning in the shower I would imagine my belly was full, pregnant, and round. I would run my hands over my stomach and imagine it getting so large I couldn’t see my feet. 2- I would often imagine Christmas morning with my many little future children. Whenever I would sit on my couch downstairs, where we keep our Christmas tree, I would imagine these children coming down the stairs, and their faces lighting up with excitement when they saw the presents. I would imagine it as if it was already happening. 3- I obsessively watched this absolutely amazing YouTube video on The Miracle of Life that shows conception, pregnancy, and an easy, healthy birth. I watched it over and over, sometimes every day. I actually watched it about 20 minutes before I conceived my miracle baby! Are you convinced? How are you going to start incorporating visualization into your daily life? Are you already doing this? Take a look at my Daily Mind-Body Fertility Practice for more ideas on how I incorporated this type of healing into each day. Thanks for this post, it was very interesting and I will certainly try it. In your research, have you found a visualization program oriented to male fertility? I found one in Circle and Bloom, but it seems more oriented to relaxation, not healing. What a great question!!!! I haven’t, and I think it needs to be made!! Can you send the link for the Miracle of Life video you mention? The links from your site don’t work, and youtube has a lot of videos, so I’m not sure which one you watched. Unfortunately the videos on youtube keep changing and the one I liked is gone :(. Here is one sort of like it but it doesn’t go all the way through birth and the soundtrack is weird- https://www.youtube.com/watch?v=p-zdZNkQ1YY&index=6&list=PL_DUWix2zSTYWlHdlpzpyjUgn5x42j6mK I’ll keep looking to find the original sources of the first!! Your post is so inspiring! I think that so far I’ve been ignoring my heart and mind, all together. 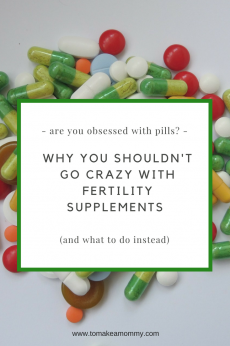 It is time to take a different approach to my fertility journey. For me, this was a real revelation. I’m so glad!! I think that the mind-body work is so incredibly crucial, and its a mistake to become obsessed with diet and pills and forget about our spirits! I hope you find joy as you add this into your journey!! So happy to have found you. 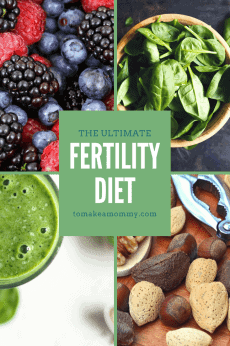 I am in the thick of my fertility struggles right now, and have enjoyed every bit of information you’ve shared and find it helpful now more than ever. Thank you for being so detailed and descriptive in everything you do. I did try the above link to “The Miracle of Life” video, but it looks as though it’s a broken link. Could you kindly resend? HI Lindsey!!! Glad you are enjoying the blog!! I just updated the link to the video. Thank you for letting me know it was broken! 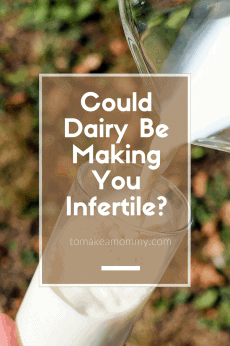 I am so happy that I found your blog while I am going through my fertility struggles. Thank you for your dedication and for the thorough articles. The information is priceless and I am sure you are helping a lot of other people in similar situations. I wanted to ask you when you were visualizing having your kids and having a big happy family did you have a visualization of the baby’s gender? Did the image appear with or without a gender? For me most of the time it comes with the gender and I am not sure if this is too ( for lack of a better word) forward to visualize.